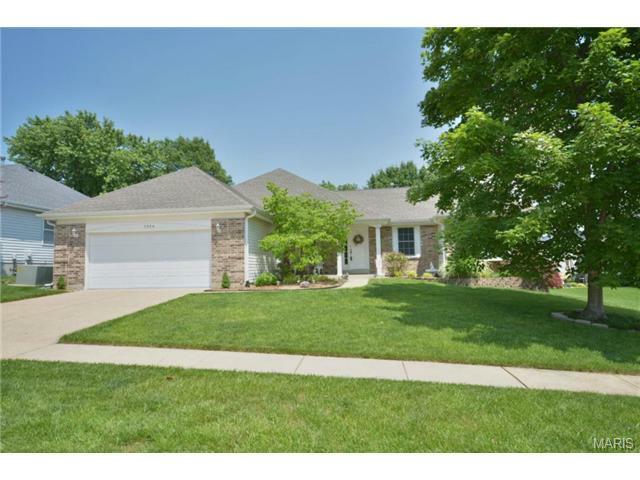 Located in St. Louis County real estate, homes for sale in Oakville MO are located south of the city bordering the Mississippi and Meramec rivers. Oakville real estate is made up primarily of established/older homes, the average aged home is 32 years. Homes for sale in Oakville MO range in price from about $100,000 to about $440,000. The median home price in 2014 was approximately $240,000. Residents of Oakville enjoy plenty of shopping, unique restaurants and nightlife. Cliff Cave Park is home to Indian Cave. It is the second longest cave in St. Louis and home to Indiana Bats which live in the cave and are on the endangered species list. Oakville schools belong to the Mehlville School district and the Saint Louis County Special School District. There is also three Catholic School elementary schools to choose from. Please see Great Schools for up to date ranking on every school in the area. If you are looking for a home for sale in Oakville MO or you would be interested in buying a home in Oakville, please contact St Louis County real estate expert, Sharon Colona and St. Louis Realty for a professional and simple buying or selling process. Call (636) 397-7653 or email at scolona@stlouisrealty.net. This 3.4+/- acres on a bluff overlooking the Mississippi River, this 2500 square foot three bedroom, three bathroom house is a blank slate, perfect for someone wanting sweat equity in their new home. Or knock it down and build your legacy house. At the end of the road near Cliff Cave Park will give you the privacy and freedom you're looking for with all the benefits of being in St. Louis County. Beautiful 2 story, 3 bedroom, 5 bath home in Oakville located on 1.25 acres. Open concept allows the house to flow with hardwood flooring throughout the main level of the home. There is a formal dining room, den, eat in kitchen, family room with a gas fireplace which is perfect for entertaining. The kitchen has a large center island, granite counter tops, tons of cabinet space, large pantry and access to the back deck & hot tub. Laundry and a half bath complete the main floor. The second floor offers a huge master suite with two full bathrooms, a sitting area, (perfect for a nursery) and access to the balcony! There is also a loft area with a fireplace and a bedroom which has its own bathroom and large closet. The lower level has 1 bedroom and a large office/ spare room. 1 which has access to the full bath, a large rec area, storage and it is a walk out which leads to the private back yard. Home has zoned HVAC, 2 hot water heaters, 2 fpl , 3 car garage and a private gated entrance. Inventory * Move In Ready xD; xA;This gorgeous 3BR 2BA ranch-style home has a custom elevation and 3-car garage and is located in Wilson Estates, a private enclave of 15 luxury homes in Oakville. The Waverly showcases a split bedroom open concept design with 9' ceilings throughout and a Great Room with a beautiful gas fireplace with shiplap surround. The Kitchen includes stainless steel Whirlpool appliances with a gas range. There's also a large island and ample counter space, all with Cambria tops, plus 42 cabinetry. The Owners' Suite showcases a beautiful tray ceiling and has a large walk-in closet with natural light and a Master Bath with double sink, private water closet, garden tub, and separate walk-in shower with cultured marble walls. Additional luxurious touches include a designer-inspired exterior color scheme, 5 1/4 base boards, 3 1/4 door casings, free-slide closet shelving, and much more. See the New Home Specialist for all the included features of this home and community. Inventory * At Drywall xD; xA;This to-be-built Canterbury is the top-of-the-line ranch-style plan from Rolwes Company. This home offers a split 3 bedroom layout with 9' ceilings, 2 bathrooms, and a 3-car garage with 8' doors, all located in Cerny Estates, a private enclave of ten 1/2 acre luxury home sites in Eureka. The home opens to a spacious Great Room with wood-burning fireplace, sunlit Dining Area, and Kitchen that includes an oversized island with additional seating, 42 cabinetry, and a super-sized walk-in pantry. The Owners' Suite is the perfect retreat, featuring a large walk-in closet and private Master Bath. Rolwes Company homes include enclosed soffits and fascia, fully sodded yards, and a landscape package. Pictures may vary from actual home constructed. See the New Home Specialist for all the included features of this home and community. The Waverly features 3 bedrooms, 2 bathrooms, and a 3 car garage. This home offers an open layout with 9 x2019; ceiling on the first floor. Hardwood Floors extend throughout the Foyer, Kitchen, and Breakfast Room. The Kitchen also includes 42 x201D; cabinets, Cambria quartz countertops and island, and a recessed lighting package. The Great Room offers a gas fireplace and scenic views. The Master Suite features a spacious walk-in closet, and a Master Bath with double sinks, garden tub, and walk-in shower with cultured marble walls. Additional luxurious touches include a fully landscaped sodded yard, free slide closet shelving, and much more! Move-in Ready! New price! Handsome brick front and professionally landscaping. 3 car garage! The open main floor impresses as you enter the home with impressive flooring selections, 9' 1st floor ceilings, formal dining room, gas fireplace and window wall in the spacious great room which flows nicely into the breakfast room & kitchen. The kitchen offers custom cabinetry with crown moulding, center island with breakfast bar and pendant lights above, quartz countertops, stainless steel appliances including a gas range. Upstairs find a bonus room adding flexible living space. The master suite features a walk-in closet and deluxe bathroom with double bowl vanity & oversized shower with seat. All bedrooms have walk-in closets. Upstairs laundry for added convenience. An electronic zoned damper HVAC system is included for added comfort. Walkout lower level with patio at walkout. Ask about the energy saving & healthy living features. Available Immediately! New Price! Popular Portsmouth 2 story. As you enter the home the foyer is flanked by a formal dining room and you will notice the 1st floor 9' ceilings and the wood flooring throughout much of the 1st floor. A spacious great room with a window wall and direct vent gas fireplace flows nicely into the breakfast room & kitchen. The kitchen offers 42 tall upper cabinets with crown moulding, granite countertops, custom backsplash, stainless steel appliances, pendant lights over the center island, recessed can lights & walk-in pantry. Upstairs you will find a bonus room adding flexible living space. The master bedroom features a walk-in closet and deluxe bathroom with GRANITEX cultured marble double bowl vanity, garden tub & separate shower w/ seat. All bedrooms have walk-in closets. An electronic zoned damper HVAC system is included. Ask about the energy efficient & healthy living features. Beautiful 2 story home in Oakville! This 6 bedroom, 6 bathroom home has over 3700 sq ft total living space in the desirable Meadows at Forder Oaks Subdivision. The kitchen offers a center island, spacious pantry, planning desk, wood flooring. Breakfast room has bay windows and French doors that lead to the deck which overlooks the fenced in backyard. Formal living room and dining room off the kitchen. Great room has hardwood floors and wood burning fireplace. Second floor features Master bedroom suite w/vaulted ceiling, 2 walk-in closets, luxury bath w/vault, double sink, separate shower & soaking tub. Four additional large bedrooms include two bed/bath suites and two rooms that share the Jack N Jill bath. Lower level is finished and is a walk out with family/recreation room complete with bar, bedroom and full bath. Extra features include main floor laundry, T staircase, fenced in back yard, zoned A/C, oversize 2 car garage. Move_In Ready! New price! This popular Ashton 2 story features an open floor plan complimented by 9' first floor ceilings, a wall of windows in the great room plus a walkout bay in the generous sized breakfast room. Beautiful flooring runs throughout the great room, kitchen, breakfast room, dining room, powder room and entry foyer. The spacious kitchen offers custom cabinetry including a cabinet finish pantry and 42 upper cabinets w/ crown moulding, granite countertops, stainless steel appliances, center island with breakfast bar & pendant lights above plus recessed can lights. The luxury master suite includes a walk-in closet and deluxe master bathroom featuring an adult height double bowl vanity with wave bowls, linen cabinet and oversized shower with seat. The walkout lower level is fitted with rough-in plumbing for a future full bathroom. Composite deck with stairs to grade. Electronic zoned damper HVAC.